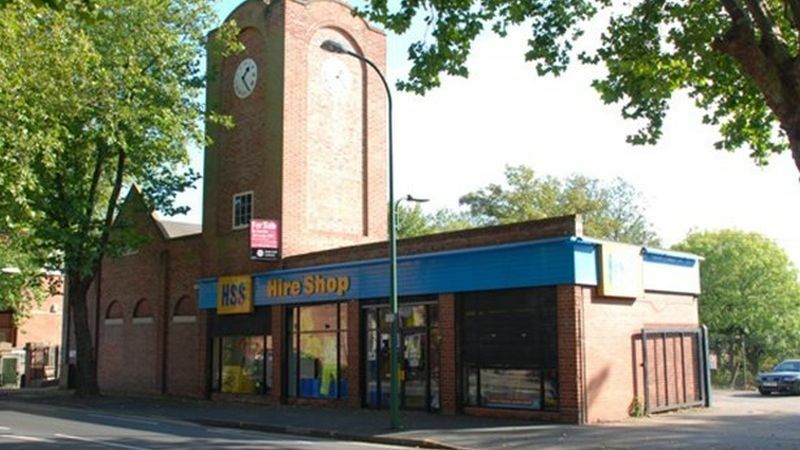 The property comprises a single stores showroom with stores to the side and rear with a feature clock tower. The premises are of brick and block construction beneath a flat roof with four full height windows to the front offering visible road frontage to Castle Boulevard. In addition to the showroom, there are two stores on site. The main store which adjoins the showroom is used for tool hire and is of brick and block construction with a mezzanine floor to part and a slate pitched roof. The second store located on the west of the site, is of a similar construction and includes a first floor office to a basic specification. There is a maximum eaves height of 4m. Access to the building is to the side elevation, fronting the yard, via one roller shutter door and one concertina door. The showroom is open plan and the specification includes suspended ceilings with inset fluorescent strip lighting and concrete floors with a tiled finish. To the side there is a small office which is also used as a kitchen and has a door leading off to a cloakroom and WC. Location: The property is situated on Castle Boulevard, a major arterial route serving Nottingham, 0.5 miles to the south west of Nottingham city centre. The unit is within an area which is characterised by other showroom / retail premises with local occupiers including And So To Bed, National Tyres, Dollond & Aitchison and Nottingham Office Equipment. Planning: We understand that the property has current planning consent for Sui Generis under the Town and Country Use Classes Order 1987 (as amended). (Interested parties are advised to make their own enquiries to the Planning Department of Nottingham City Council – telephone 0115 915 5555). Legal Costs: Each party will be responsible for their own legal costs involved in this transaction.